Fluffy used up one of her nine lives last week. One down, eight to go. 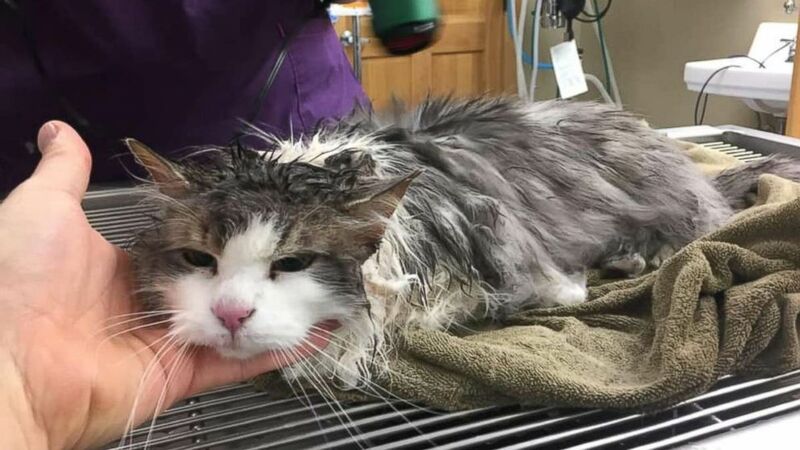 A very lucky cat in Montana is happy and healthy after thawing out -- literally -- at an animal clinic over the past week following a miraculous rescue. 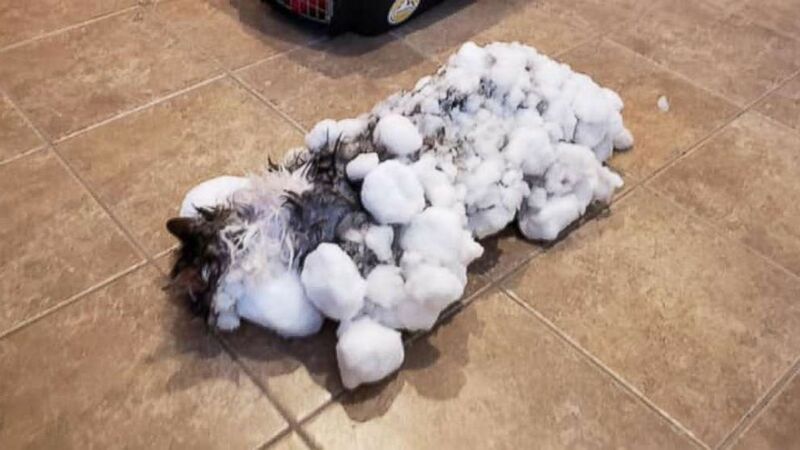 The owners of Fluffy, who live in Kalispell, Montana, in the far northwest of the state, found her in a snow bank on Jan. 31 -- unresponsive, with her fur matted with ice. The low in nearby Whitefish was a bone-chilling 8 degrees on Jan. 31, and they had received about 16 inches of snow for the month. 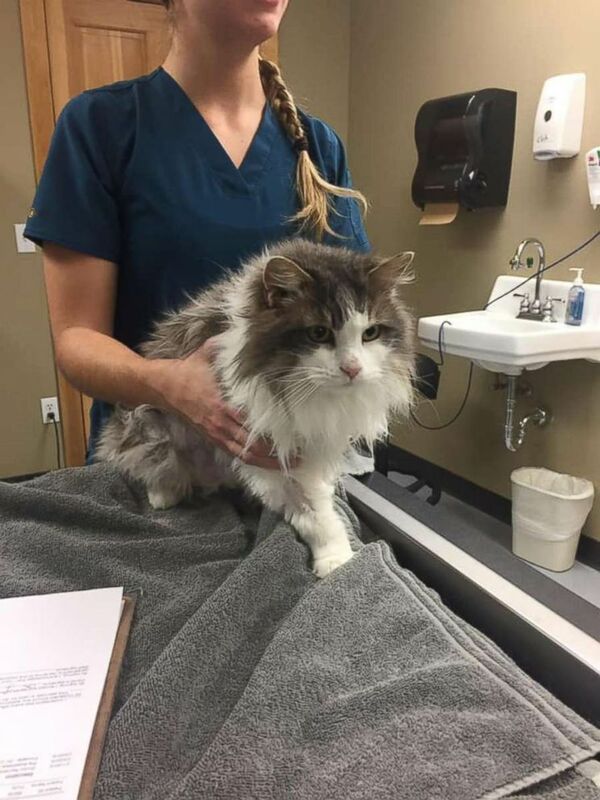 (Animal Clinic of Kalispell) Fluffy was found frozen solid in a snow bank in Kalispell, Montana, on Jan. 31, 2019. The cat has made an amazing, full recovery. Dr. Jevon Clark, who works at the Animal Clinic of Kalispell, told ABC News when they brought Fluffy to the clinic her temperature was so slow it didn't even register on a thermometer -- with a bottom range of 90 degrees. According to Clark, cats' temperatures normally are around 101 degrees. After about two hours of using warm water and blankets, the cat’s temperature was still too low, so they took her to the emergency room. After a few more hours, Fluffy finally began to show signs of recovery. The animal hospital shared the good news on Tuesday morning that Fluffy has made a full recovery and is back at home with her owners. "Fluffy is amazing!" the hospital shared on Facebook. The clinic shared a photo of the unfrozen Fluffy, showcasing her beautiful, long fur. One change for Fluffy though: She's now an indoor cat. ABC News' Jessica Zellermayer contributed to this report.